Street View is probably point where technology starts peeping on to your privacy zone, just after Google Adsense started reading your emails. 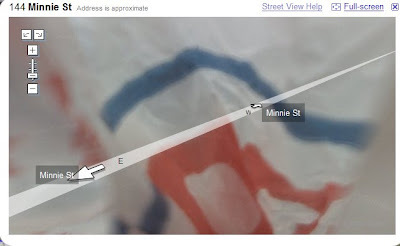 Regarding Street View many people have voiced their concerns regarding the privacy implications of Google’s Street View service - but what if there were a way to “opt-out” of having your neighborhood displayed online? Yes, it appears that some enterprising resident of Fairbanks, Alaska, has worked out how to completely disable the Street View car’s onboard recording device! Even better, the process doesn’t involve any technical wizardry - all you need to do is stick a plastic bag over the top of the camera. If you're like me, you've been wondering about the vehicles they're using to create those voyeuristic, 360-degree, street-level images in Manhattan's concrete canyons and beyond. 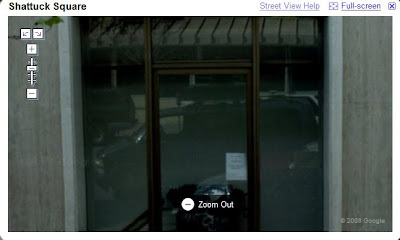 Well, here's a hint: that's Immersive Media's vehicle reflected in the Street View picture captured below. The irony is, in this video the Vikram and Priya raman are dancing, so Vikram danced to this tune before Kamal did. I simply don't understand how Kamal approved these songs, such a perfectionist. Kalapadam Mattum Kandal, Business nadakathu"
Heavy middle-eastern feel, not a Bhangra number. Himesh spoiled it in remix version with his voice, Kamal sang it bad too. What does Himesh knows about South Indian Bhajan songs? Ordinary Lyrics, Arabian touch again. Cant bare. Himesh Reshammiya for his negligence on such a huge project? But one thing I am sure, only Kamal's name and Fame is tarnished here.